In Part I - Hillrock Estate Distillery of my TasteCamp series, I described the field to glass philosophy of Hillrock Estate Distillery and expressed surprise at the breadth of Hudson Valley distilleries. In historical terms, I shouldn't have been. In the early 1800's, New York, with major help from the Hudson Valley region, produced over half of this country's barley and rye. And with these grains, distilleries followed. In fact, approximately 1,200 farm distilleries were operating in the Empire state when Prohibition destroyed the industry. In recent years, the distillation industry in New York has slowly materialized, thanks in large part by entrepreneurs in the Hudson Valley. Ralph Erenzo is the face of the spirits industry in New York, both as co-owner of Tuthilltown Spirits and the driving force behind the four year effort to pass the Farm Distillery License Act. According to EdibleManhattan.com, Erenzo "was researching the possibility of booze-making and discovered a little-known 2000 law on the books that allowed locavore micro-distilling at a greatly reduced licensing rate. The state had slashed the $65,000 distilling permit to just $1,500 — so long as the producer was a little guy, making less than 35,000 gallons a year. " 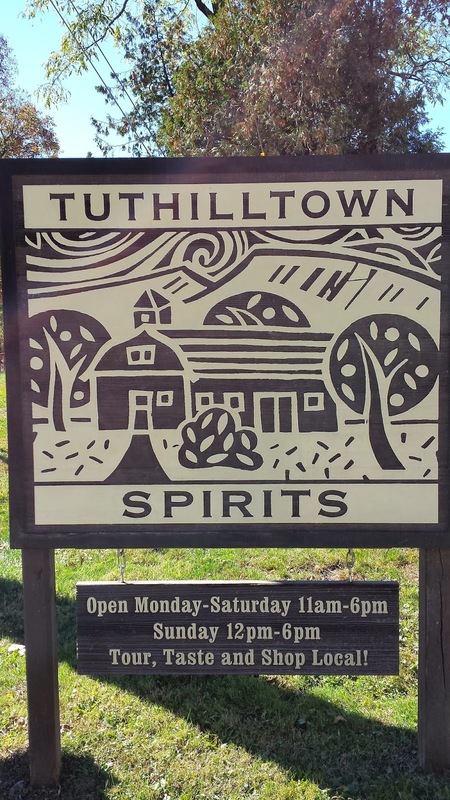 When Tuthilltown was founded in 2003, it was the only farm distillery in the state; today, thanks to the Farm Distillery License Act, there are over 40. As long as distilleries use NY grain or fruit, they can self-distribute - ignoring wholesalers when suitable - and sell directly from the tasting room. I visited Tuthilltown and learned that their award winning bourbons were not the first products Brian Lee (Erenz's founding partner, distiller, and principle investor) produced. 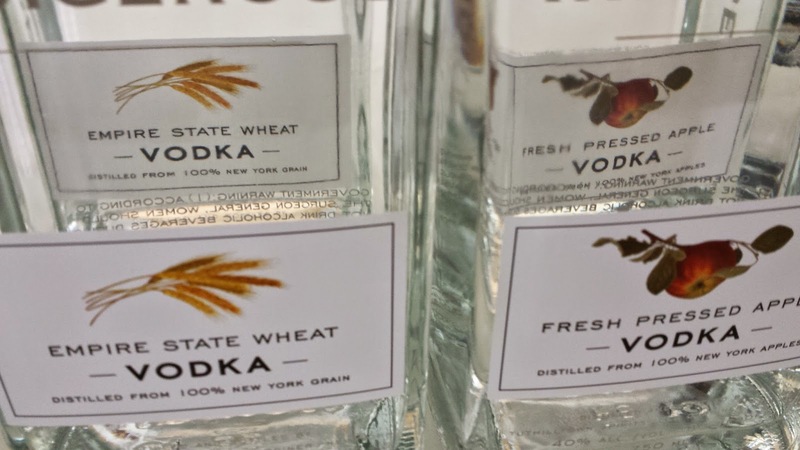 It was actually the Indigenous Empire State Wheat Vodka (80 proof / 40% abv, $27) and Indigenous Fresh Pressed Apple Vodka (80 proof / 40% abv, $37). Both very smooth and also used as the base for the Half Moon Orchard Gin (92 proof / 41% abv, $37). In addition, the distillery produces a Hudson Valley favorite, cassis, with their Cassis Liqueur (44 proof / 22% abv, $24) -"created by hand-harvesting organically grown local fruit and macerating it with raw cane sugar in a neutral spirit for 4 months in Tuthilltown Whiskey-cured barrels." The result is a tart and tannic port styled liqueur. Quite tasty. And then there's the world class whiskeys: from the Hudson New York Corn Whiskey (92 proof / 41% abv, $41) to the Hudson Single Malt Whiskey (92 proof / 41% abv, $41 375ml), Hudson Manhattan Rye (92 proof / 41% abv, $41 375ml), and Hudson Four Grain bourbon whiskey (92 proof / 41% abv, $41 375ml). 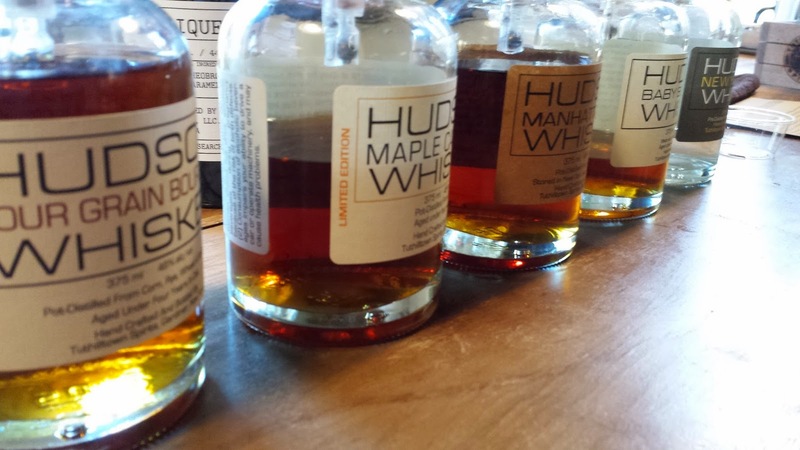 The Hudson Maple Rye Whiskey (92 proof / 41% abv, $41 375ml) is an interesting twist - aging the base of the Manhattan Rye in used maple syrup barrels. The whiskey retains a fair bit of rye character with subtle maple notes. Like Hillrock Estate, this whiskey does not come cheap; but boy are they oh so good. 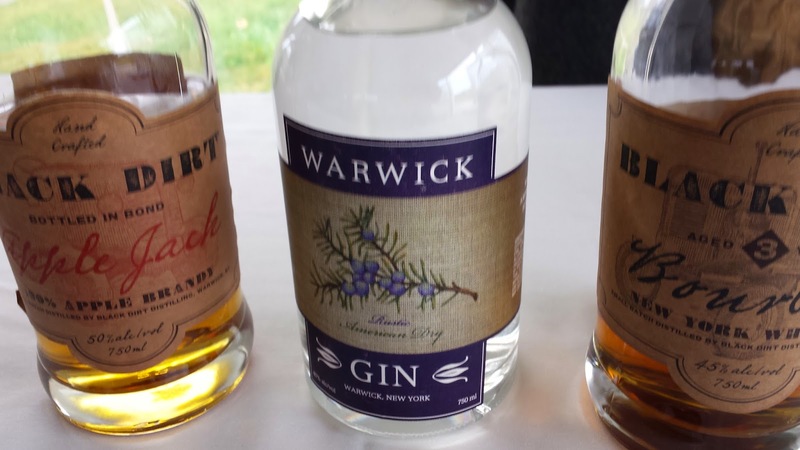 The growth in the Hudson Valley distillery industry due to the Farm Distillery License Act led our TasteCamp party to Hillrock Estate and the Saturday morning spirits tasting. A dozen distillers participated in this event - which organizer Carlo Devito billed as the largest single tasting of Hudson Valley spirits in modern times. And appropriately, Tuthilltown participating pouring their Indigenous brand, the Half Moon Orchard Gin, and Cassis Liqueur. 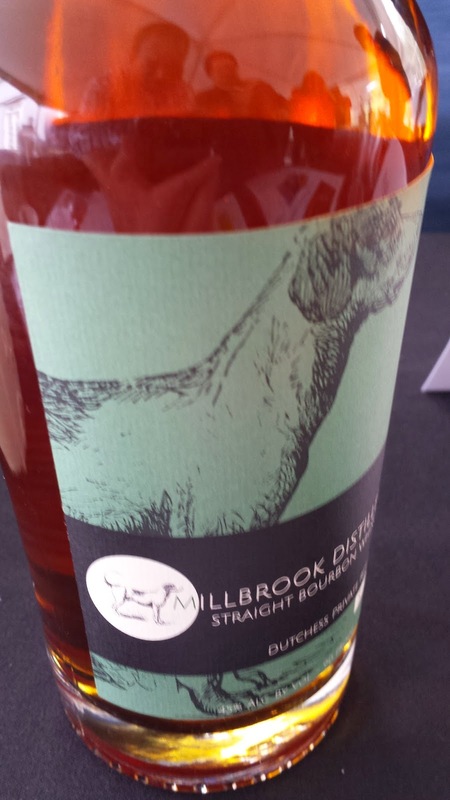 I started the tasting with Millbrook Distillery, founded by Paul Coughlin and Gerald Valenti in Dutchess County. Their Dutchess Private Reserve Straight Bourbon Whiskey (90 proof / 45% abv, $37) is made from local corn and rye (25%) with natural spring water from Rolling Hills Farm. Plenty of caramel to finish off this very drinkable bourbon. Warwick Valley Winery & Distillery table was vacant, so I parked in front in order to sample their Black Dirt Distillery series - named after the fertile soil in Orange County. The Black Dirt Bourbon (90 proof / 45% abv, $45) produced from 80% corn, 12% barley, and 8% rye and aged a minimum of three years in new American Oak. The result is a clean, slightly honey sweet whiskey with the rye coming through in the tail. I'm a lover of apple jack and was excited with the Black Dirt Apple Jack (100 proof / 50% abv, $45) made from Jonagold apples and aged in charred new American oak. This starts with honey and vanilla which then yields to the apple profile, finishing with pie spices. Nicely done. The final offering was the Warwick Gin (80 proof / 40% abv, $27) and uses classic botanicals such as juniper, coriander, angelica root, and anise. It also includes lemon and lime peels which gives it a citrusy profile. 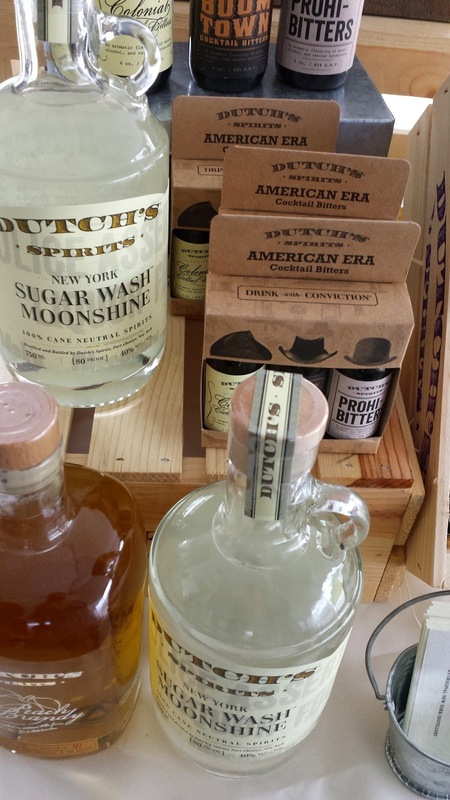 Nearby, Dutch's Spirits had the most interesting spirit, Sugar Wash Moonshine (80 proof / 40% abv, $28), a 100% cane neutral spirit produced in small batches from pure Demerara sugar. Very clean with hopscotch notes. 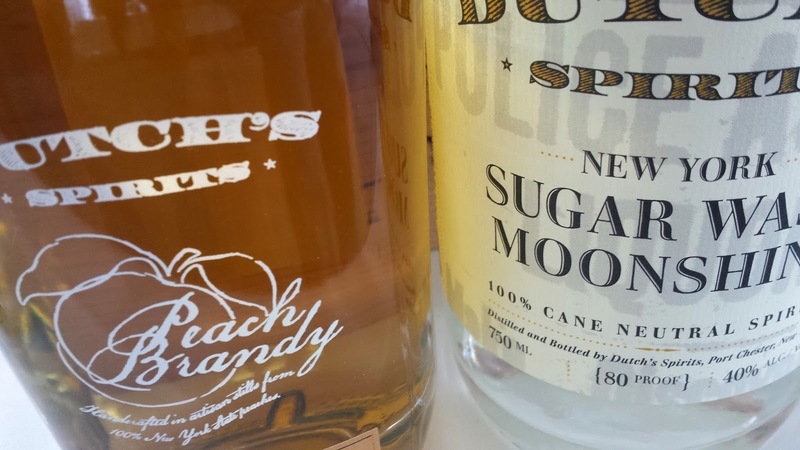 Sugar Wash is a traditional moonshine recipe when corn is scarce and is a perfect fit for this distillery's past. There's too much to convey for the full story, but click here to read it's connections to mobster Dutch Schultz and his clandestine underground distillery. Co-founder Ariel Schlein was also pouring the distillery's Peach Brandy (80 proof / 40% abv, $42) - subtle peach and very smooth. They also concocted a cocktail of the Moonshine, hard cider, and house made bitters - delicious. The newest player in the Hudson Valley spirits is Denning's Point Distillery, who just celebrated their Grand Opening September 20th. 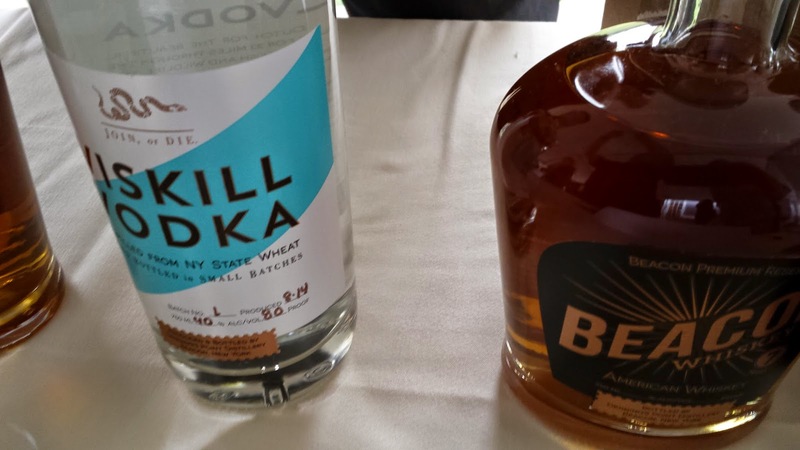 They were pouring two products, the VisKill Vodka and Beacon Whiskey. The vodka is distilled from a mash of Finger Lakes winter wheat and is quite smooth. The Beacan Whiskey is light, smooth, with hints of caramel. I wish I had more time to spend with Angus MacDonald, Master Distiller of Coppersea Distilling.Like Hillrock Estate Distillery, Coppersea floor malts and mills their grain - for the later sourced from various Hudson Valley farms. 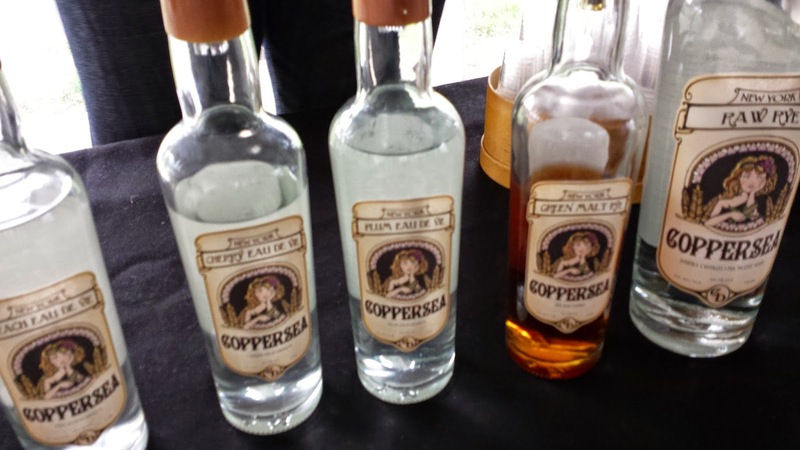 However, I was given the two minute warning to hurry up so savored their Pear and Peach Eau De Vie as well as the Coppersea Green Malt Rye (90 proof / 45% abv) - a 100% malted rye whisky made from unkilned malt (unroasted malt). Very limited quantities for this herbal treat. 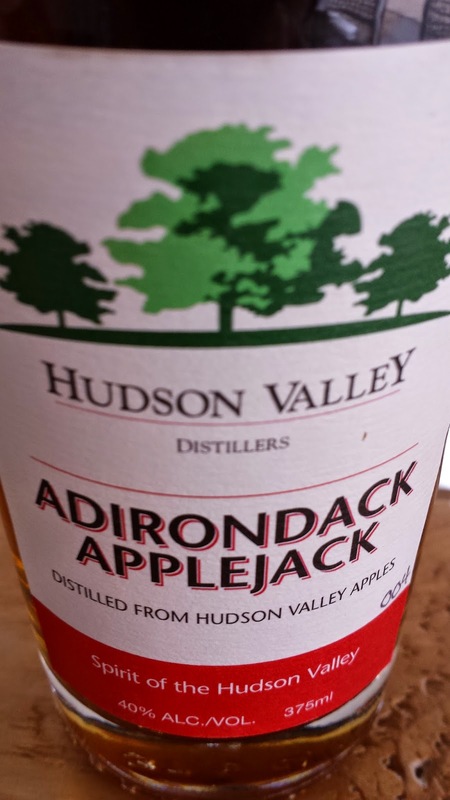 While walking out I noticed that Hudson Valley Distillers, LLC had arrived and were sampling more Apple Jack. The bus could wait a little longer, right? This veteran owned distillery is owned and operated by Thomas Yozzo and Chris Moyer, who utilize the fruit from Moyer's Spirits Grove Farm orchard. They also built greenhouses to grow botanicals for their future Tom’s Old Tom gin. I quickly sampled the Adirondack Applejack ($25 350ml) and the Hardscrapple Applejack ($25 350ml). The former was aged in white oak barrels like an whiskey while the later is produced to align more with Scotch. The latter also honors Chancellor Robert Livingston, entrepreneur, contributor to the Declaration of Independence, and former owner of the land that now includes Spirits Grove Farm. That's the beauty of the burgeoning Hudson Valley distilling industry. Young, but loads of history in every bottle. And the Hardscrapple is more like a whiskey than applejack - toasted nuts, vanilla, and caramel. Very nice. 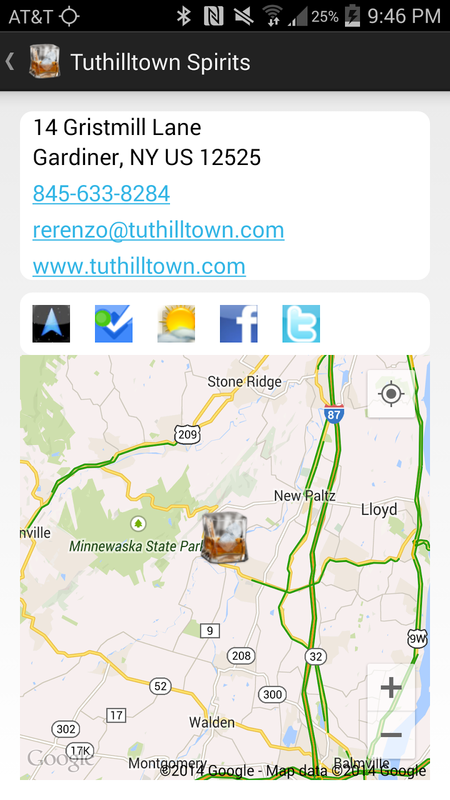 Unfortunately the bus spirited us off to our next destination and I failed to sample from Harvest Spirits Farm Distillery and Catskill Distilling Company . Next trip for sure. 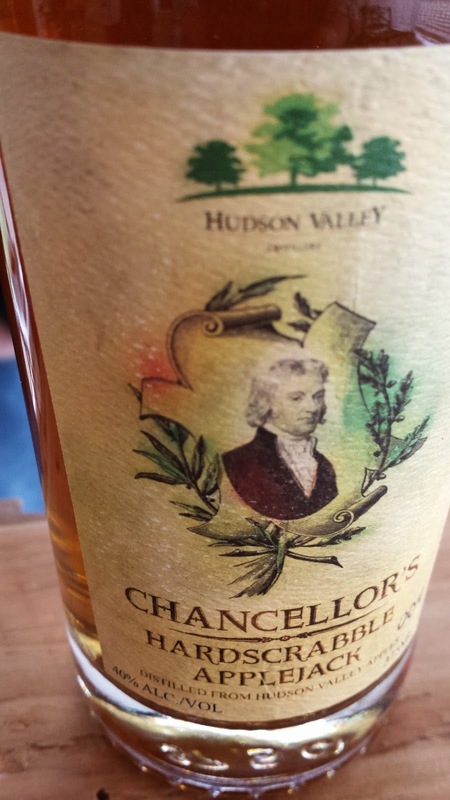 Cheers to Hudson Valley Distillers.